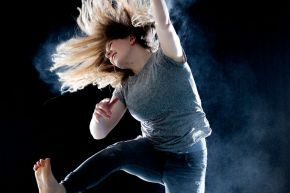 Join us for the last contemporary dance performance from Ulster University's BA Hons Dance students: 'DUST'. This exciting evening is a celebration of the legacy that the degree has created for dance in Northern Ireland. Purchase your tickets by using the 'Register' link below. Complimentary return transport is available from Ulster University, York Street Belfast, BT15 1ED, so why not register for your free transport.